Oct. 27, 2015, 11:49 a.m.
By Joseph Lichterman @ylichterman Oct. 27, 2015, 11:49 a.m. 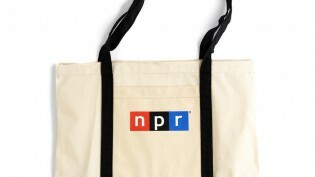 The pledge drive has been a staple of public media for decades: Hosts solicit donations on air a few times a year, listeners donate, and then they get a tote bag or some other tchotchke in return. In recent years, though, much of the emphasis on fundraising among stations has turned to soliciting sustaining members, who make regular monthly contributions to stations that are automatically charged to their credit card. Now it seems the emphasis on sustainers is moving to podcasts — just as many public radio listeners are. Last week, PRX’s podcast network Radiotopia launched its own sustaining membership push. Instead of asking for pledges on drive-time radio, PRX is using its 13 Radiotopia podcasts and various social media accounts to ask for support — though it is using mugs, t-shirts, and, yes, tote bags to reward donors. The podcasting medium has traditionally been reliant on sponsorships and advertising, but PRX CEO Jake Shapiro told me he expected listener support to continue to be a key component of its business as Radiotopia, which launched in February 2014, continues to grow. The campaign launched last week, and so far nearly 7,500 people have pledged. Radiotopia’s recurring payments start at $1 per month and go up to $20; it’s also offering perks for one-time donations up to $15,000. The donors are charged monthly until they decide to cancel or change their donation. More than half of the donors who have already committed to support Radiotopia have pledged $4 per month, which gets them a challenge coin like those featured on an episode of Roman Mars’ 99% Invisible podcast, the original Radiotopia show. 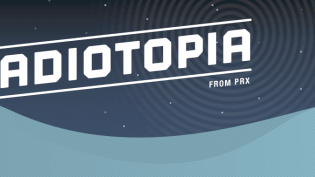 Last fall, PRX raised $620,412 from more than 21,800 backers in a Kickstarter campaign to support Radiotopia and help fund the expansion and addition of some Radiotopia shows. PRX had used Kickstarter a number of times before it, but it purposefully moved away from Kickstarter this time around, PRX COO Kerri Hoffman told me. PRX is working with CommitChange, a startup that runs fundraising software for nonprofits, to run the drive. Unlike Kickstarter, which is just a one-off donation and requires a specific Kickstarter login, recurring payments through CommitChange don’t require donors to create a separate account, thus letting PRX develop a database of donors who are interested in supporting Radiotopia. CommitChange also processes and manages the payments for PRX, which it hopes will let it avoid many of the logistical challenges that many public media outlets face in developing sustaining programs. For most public radio stations also, sustainers only make up a small percentage of their total membership revenue. According to a study by Greater Public, which analyzed 2013 financial data from more than 100 public radio stations, the average station raised about 20 percent of its membership revenue from sustainers. Sustaining members, however, are more valuable to stations. The report showed that sustaining members are typically worth up to four times more than traditional donors to a station. A sustaining member who gives $10 to $25 a month ultimately pays more than most one-time annual givers. Current reported earlier this year on an assessment from the fundraising software company Blackbaud that showed that there were 10 stations that were particularly adept at developing recurring payment programs. For those 10 stations, about 40 percent of its membership revenue came from sustainers, with some seeing up to 70 percent coming from sustainers. And from 2008 to 2013, those 10 stations saw revenue from sustaining memberships triple from about $11 million to $33 million. At the top-tier stations, 70 percent of new sustaining donors continued giving into their second year — about double the retention rate of most annual donors, the report said. For its part, PRX said it’s going to work to build a community out of its sustainers. By building that donor database, they can now send them updates directly; it plans to offer them extra content, such as additional interviews and outtakes from the Radiotopia shows. This is similar to Slate’s approach with its Slate Plus program, where users who pay $5 a month or $50 annually get additional content from Slate writers and podcasters. Additionally, for a one-time donation of $300 or $20 per month, PRX’s donors can join a committee that will evaluate pilot episodes of shows Radiotopia is considering backing. “We’re going to create an experience for those folks to participate in a meaningful way,” Hoffman said, saying much of the communication with the committee members will likely be over Slack, which is also sponsoring the fundraising effort. The campaign runs through November 18. Radiotopians are promoting the campaign on their social media accounts as well as on their shows. It chose to run a monthlong campaign in part because all of its shows run on different schedules — some are weekly, while others only come out every few weeks — and it wanted to make sure the hosts on every show could promote the campaign to their listeners. Still, Hoffman said PRX is cognizant of not burning out listeners with repeated asks and said that the drive could end early if PRX meets its goals. PRX is aiming to sign up 15,000 total donors by the end of the drive. 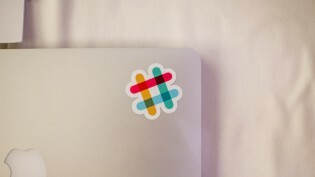 It struck a deal with Slack that if 5,000 individuals donated the company would contribute $25,000. But when PRX hit that mark in a matter of days, Slack said it would kick in another $50,000 if 10,000 additional donors signed up. The deal gets Slack exposure to Radiotopia’s audience, but for PRX it encourages it to get as many people as it can into its network, no matter the price point. Photo of Roman Mars doing a live version of his 99% Invisible podcast by Bret Hartman/TED used under a Creative Commons License. POSTED Oct. 27, 2015, 11:49 a.m.
Lichterman, Joseph. "How PRX and Radiotopia are rethinking the public radio pledge drive for the podcast era." Nieman Journalism Lab. Nieman Foundation for Journalism at Harvard, 27 Oct. 2015. Web. 25 Apr. 2019. Lichterman, Joseph. "How PRX and Radiotopia are rethinking the public radio pledge drive for the podcast era." Nieman Journalism Lab. Last modified October 27, 2015. Accessed April 25, 2019. https://www.niemanlab.org/2015/10/how-prx-and-radiotopia-are-rethinking-the-public-radio-pledge-drive-for-the-podcast-era/.